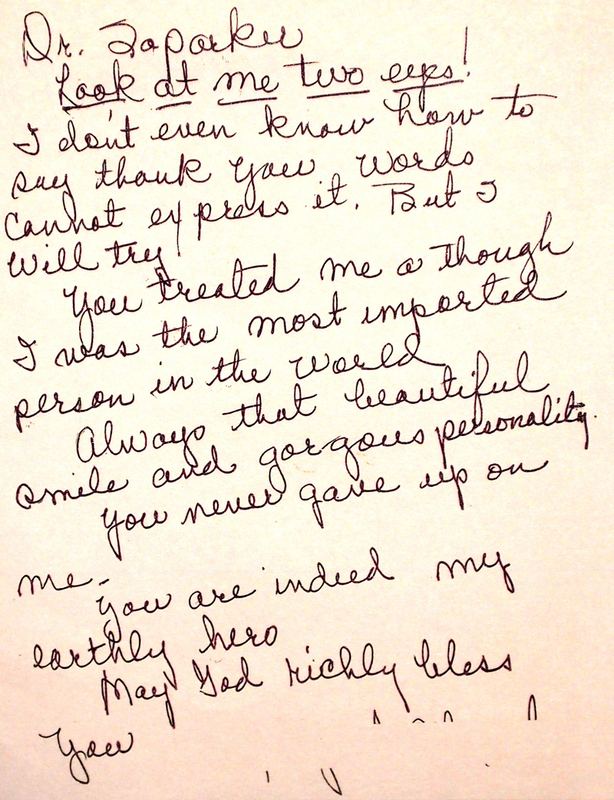 Throughout the years, we have met some very special people and received wonderful letters of thanks from our former patients, their families and friends. We thank them for taking the time to praise our staff for the care they received, and for sharing their Plastic Eye Surgery Associates Experience with us, which we in turn share with you here. Please click the button below to view the Patient Testimonials Gallery.